For utilities to deliver safe, affordable and reliable electricity to consumers, one of the areas they need to invest in is strong electrical substation security. By properly securing substations, utilities minimize physical threats, theft, vandalism and unplanned maintenance – all of which increase operational costs. Compromised substation security can also increase the risks of brownouts and blackouts. One such solution involves the use of pan-tilt-zoom (PTZ) security cameras, which allow utilities to monitor areas that would normally require multiple fixed cameras. 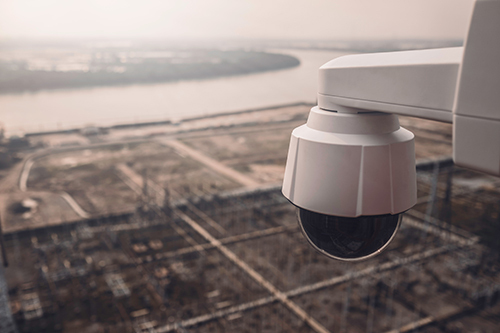 Often retrofitted with thermal recognition technology, PTZ cameras provide remote directional and zoom control, helping to prevent everything from copper theft, to malicious attempts to disrupt the stability of the power grid. PTZ cameras provide early detection, which is the key to preventing these types of threats on substations. Thanks to PTZ technology, substations can be monitored remotely 24/7 and from one location, leading to better situational awareness and more accurate responses. Additionally, PTZ cameras are unlike traditional fixed cameras, which are typically more expensive to install and maintain. PTZ cameras are part of an affordable, interactive system that secures a substation’s perimeter. Sensors are positioned along the perimeter and each is matched with a high-resolution camera, which can spin 360 degrees. When a sensor detects and classifies a target (a person, an animal, a vehicle, etc. ), the dedicated PTZ camera for that area automatically steers and zooms to that location, continuing to follow and report the potential threat’s movements in real time. This essentially results in there being no blind spots. Alarms are then sent to the utility’s 24-hour security center, which can immediately contact law enforcement. 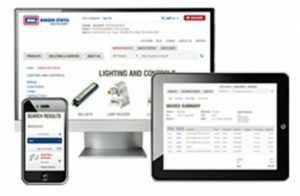 Additionally, any alarms, events or system actions can be logged and stored remotely for review at a later time. NOTE: These PTZ cameras can also be used to protect solar projects, power plants and similar operations. PTZ cameras lead to accurate and efficient security responses at substations. They not only address physical vulnerabilities, but also help utilities remain NERC-compliant. Hubbell Power Systems: How to install expanding rock anchors for foundationsWin a FREE Milwaukee chainsaw kit!